The modern Unity Hostel is in the heart of Skopje, a 10-minute walk from Macedonia Square, Old Bazaar, Kale Fortress and Museums Quarter. There is a common lounge area and PCs that can be used for free. WiFi is also free. 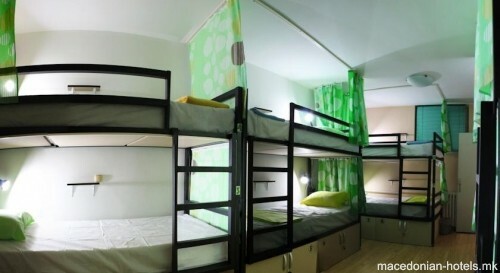 Guests can arrange airport shuttles, laundry services and tours at Unity Hostel. Free city maps are provided and parking is available at an additional charge. The shared kitchen is equipped with coffee- and tea-making facilities. Breakfast is served every morning. 0.45 km distance from Skopje main square.